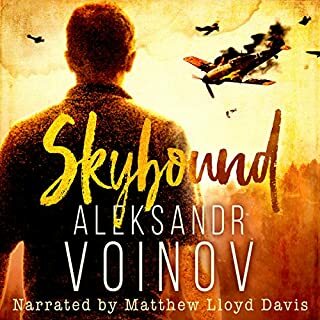 Where does Skybound rank among all the audiobooks you’ve listened to so far? My original book review stands. (See my blog). I won't change it, but I can say without question this audio version enhances the experience of Skybound, beautifully, as well as my feelings for it. Here I will focus on the audiobook itself and the delivery by the narrator. Finally, the melancholy tone that runs through the book is heard deep down in the vocal chords, but they don't cover up the endless, yet waning, hope that keeps you linked to each word. Despair, pain, loss, utter love and awe are all heard, and felt. And something that I had somehow forgotten came through clearly, Felix's strength. Yes, this modest man, who has seen so much loss, clings to his capabilities which show his devotion and care. He almost comes across as arrogant, but it just allows you to love him all the more. Timid Felix has strength that he doesn't know he possesses. But Baldur knows. And you will too after listening to this treasure.